We will be back tomorrow from 08:00 with more updates from across the region. An Oxford college has pulled its plan to move a bookmakers into an empty shop unit it owns. Jesus College got permission to move Ladbrokes into St Michael's Mansions, in Ship Street, last December. The college wanted it to stay there for at least five years, but the city council said that would have been too long, and they were expected to negotiate a compromise. The application was opposed by some of its students and the Oxford Civic Society, which said the central conservation area would have been "harmed". M27 Hampshire eastbound severe disruption, after J5 for A335 Stoneham Way Southampton Airport. M27 Hampshire - One lane blocked and queuing traffic on M27 eastbound after J5, A335 (Southampton Airport), because of a broken down vehicle. In the roadworks area. A Hampshire pub rescued from closure to become a "fantastic" village local has been named pub of the year. The Wonston Arms in Wonston was derelict and empty four years ago before being bought by Matt Todd, who has turned it into a thriving local. The Campaign for Real Ale (Camra) praised the wide range of cask ales and gin on offer, as well as social events including music, quizzes, food nights and a photography club. 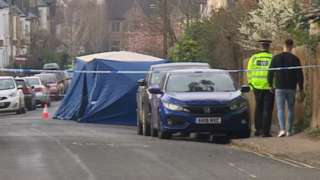 Ceon Broughton filmed Louella Fletcher-Michie as she lay dying and branded her a "drama queen". M27 Hampshire westbound severe disruption, from J5 for A335 Stoneham Way Southampton Airport to J4 for M3. M27 Hampshire - One lane closed and queuing traffic on M27 westbound from J5, A335 (Southampton Airport) to J4 M3, because of a broken down vehicle. M27 Hampshire westbound severe accident, at M27. M27 Hampshire - Two lanes blocked and very slow traffic on M27 westbound at M27, Rownhams Services, because of an accident. Nearly 8,000 households in Portsmouth will be taking part in a food waste collection trial after councillors gave it the go-ahead. Each home will be provided with one small caddy to keep in the kitchen, which is emptied into a larger one outside for weekly collection. Portsmouth City Council says the trial, which will cost £114,000, will mean waste food can be used to, among other things, generate energy. 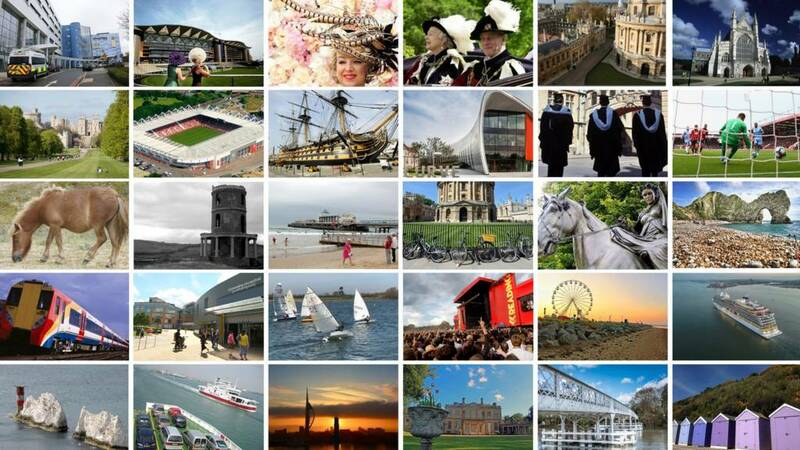 The proposed trials will be carried out in parts of Drayton/Cosham, Somerstown, Old Portsmouth, Portsea, Southsea, Eastney and Baffins. A list of roads involved in the scheme will be available online soon with further details on the specifics available in the coming weeks. Waste composition analysis undertaken in the city in the autumn showed nearly 40% of black bin waste was food waste. The library allows you to borrow useful things - and not buy them. 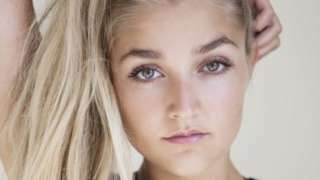 A video of Louella Fletcher-Michie playing with fairy lights before she became ill was shown to jurors. Dorset Police has issued CCTV of a suspect it wants to speak to in connection with the theft of £400 worth of clothes from two stores. At around 17:50 on 26 January a man entered the TK Maxx store at the Meteor Retail Park in Christchurch and selected a number of items before leaving without paying. A similar incident happened at the TK Maxx store in West Howe on 1 February, which officers believe involved the same man. Thames Valley Police is appealing for witnesses following an attempted robbery and robbery, which are believed to be linked, in Reading. The first incident was on Sunday at around 10:45. A 17-year-old boy was walking along Gosbrook Road towards Star Road when four teenage boys riding bicycles surrounded him and threatened him with a knife. At about 11:15 on Sunday a 31-year-old woman, walking along a footbridge into Christchurch Meadows Park, was approached by three teenage boys who threatened her with a knife, pulled her to the floor and hit her in the face. They stole a bag and ran away over the footbridge. The suspects are white, mostly of medium build, and about 5ft 5ins tall. 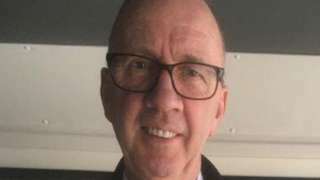 Karl Fawcett was pictured on CCTV "laughing and joking" with the killer. Police are trying to identify the man in these CCTV pictures as part of an investigation into an attempted kidnapping in Portsmouth. Hampshire Constabulary said during the incident, shortly before 12:30 on 22 February in Lords Street, a man in his 20s was assaulted and suffered a head injury. Officers arrested two men from Portsmouth, aged 24 and 25, on suspicion of kidnapping. They have been released under investigation. A 27-year-old man from Portsmouth was released with no further action. M4 Berkshire westbound severe accident, from J13 for A34 Chieveley to J14 for A338. M4 Berkshire - One lane blocked on M4 westbound from J13, A34 (Chieveley) to J14, A338 (Hungerford), because of an accident. Traffic is coping well. Jon Stride posted this sunrise picture on Twitter and said: "Another great February sunrise over the Blackmore Vale today - although the skies are not as clear as in recent days. As seen from @SW_Railway train near Sherborne."